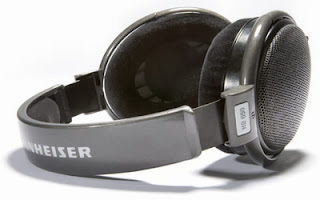 Over the past few years I have spent a lot more time listening to music through headphones, and have tried many different combinations of headphones and have not found any yet that compare to the ones I borrowed from my boss, the Sennheiser HD 650. My current go-to headphones are their HD 250 Pro, and if you know anything about their products, the higher the model number the better (and more expensive) they are. The HD 250 Pro are very good cans, and if you are going to spend five times the price for a new set, there had better be a noticeable improvement in sound. The HD 650 phones deliver this is spades. 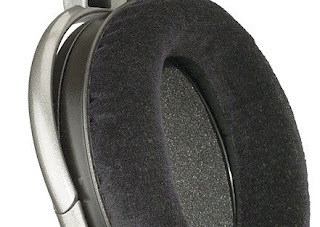 These are open-back headphones, so these are not the ones you are going to use at the office or gym or on the airplane. A lot of ambient sound will make their way in, and you will disturb your neighbors. Physically, these phones are open back (as I just said), and they fit comfortably around the ears (circumaural) with cozy replaceable ear pads. They weigh in at around 9 ounces (a bit heavier than normal), but they are nicely adjustable and they are some of the most comfortable ones I have ever stuck on my head. The coiled cord is about 10 feet long, with a ¼-inch jack and a 1/8-inch mini jack adapter is included. The cord is replaceable should it happen to be damaged. Overall they are very smart-looking with a slick titanium finish and an imposing size. The specification sheet provided by Sennheiser for the HD 650 contain no surprises for headphones in this price range. 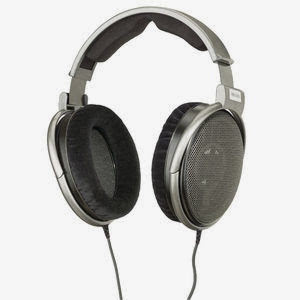 They are equipped with neodymium magnets and frequency response is supposed to be 10 to 49,500 Hz, with a total harmonic distortion of less than 0.05%. With 300 ohms of resistance, these things will take a lot of power to drive. They will not work well with an iPod or laptop unless a headphone amplifier is used. I tested these headphones with a variety of audio sources, including my home stereo, my iPod and iPad, as well as my laptop. I used them with and without headphone amplifiers (solid state and tube-type) and with my usual assortment of music and movies. 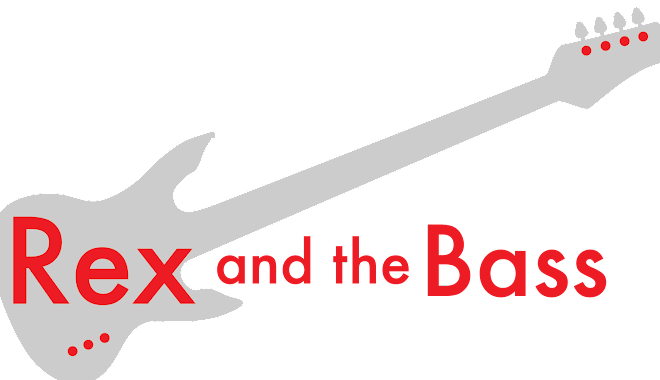 This includes mostly rock and blues, with a little country, classical and show tunes to round things out. And they perform magnificently. The magnets are matched so that they have virtually even output (+/- 1 dB). They lightweight aluminum voice coils are very sensitive and crisp with no distortion at any normal volume levels. The highs are clear and do not have any unnatural elements to them. The mid ranges seem slightly boosted, mostly in the upper mids. This is not distracting to me, and I like the effect for most music. The bass is the best I ever heard, very crisp and powerful, but still well-balanced with the mids and highs. I found that they sounded best with classical and jazz music, and using them with a home theatre system is mind-blowing. They are maybe a little lacking for hard-rocking music. Of course, these are subjective observations, and depending on what kind of music you are listening to you might find other headphoens that you prefer (but I doubt it). In the real world, due to their design there is not much isolation, so if there is any background noise it will makes its way in too. This means that they are really not the best headphones for me, as I am never anywhere that it is quiet enough to get the full benefit from these headphones. But, if you are an audiophile that has a quiet place to enjoy these, they should be close to the top of your shopping list. But, when you go shopping, make sure that you have plenty of cash in your pockets. The Sennheiser HD 650 headphones sell for around $600, which makes these a serious purchase. But they are worth it, and if you ever get a chance to try a pair out, you will be amazed!